Mont Escape offers visitors to Barcelona an incredible opportunity to discover Girona and visit areas of sublime natural beauty and rich historical value, outside of the city. 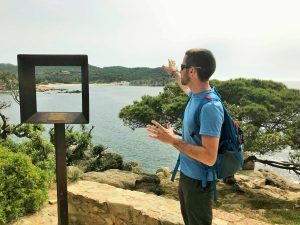 One such experience takes small groups for a hike along the picturesque coves and dramatic cliffs of the Costa Brava coastline before driving to the medieval city of Girona for a guided tour of the old town. 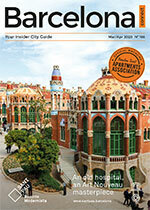 Return to the Catalan capital in time for dinner, with a plethora of memories, facts and of course, plenty of amazing photographs. Leaving and returning from Passeig de Gracia in central Barcelona, all the logistics are taken care of by Mont Escape, leaving you at liberty to sit back and relax. 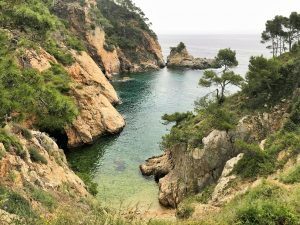 Your guide will drive you and your small group directly to a picturesque spot on the Costa Brava coastline, an area recognised by the Spanish government for its exceptional natural beauty. 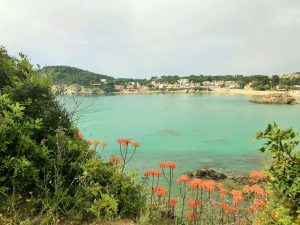 As you hike along ancient paths, skirting small sandy beaches, tiny fishing communities and overgrown ruins, you will appreciate the innate charm of this Mediterranean paradise. Along the way, your group leader will stop to point out remarkable features of the landscape and explain some of the rich history of this important area. 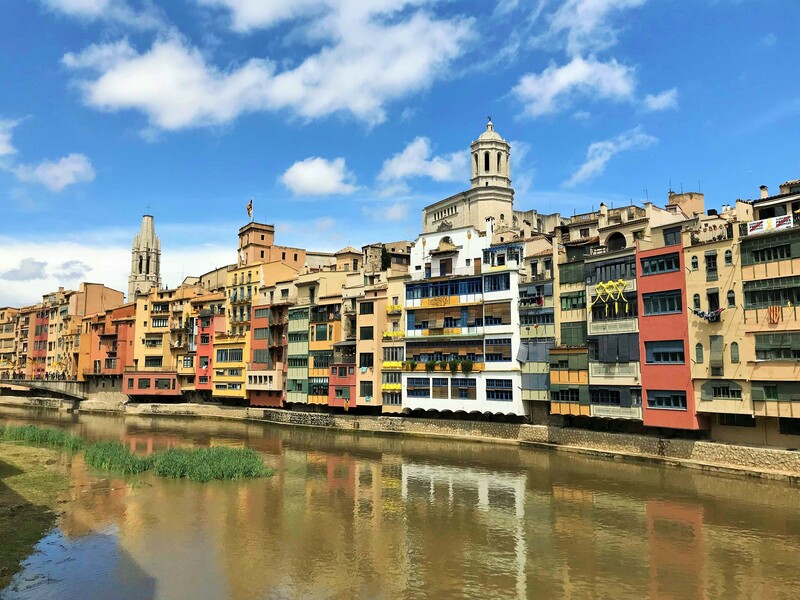 After taking in one last view of the magnificent Costa Brava coast, it’s time to continue your exploration of Catalonia by moving on to discover Girona. The car journeys offer the ideal time to ask your guide any questions you have about Spanish culture and traditions, as they are knowledgeable and keen to share their familiarity with you. The small group sizes make hearing information extremely easy and creates an intimate vibe, with everyone involved and chatting amicably. 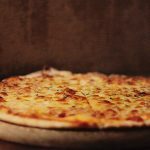 In Girona, you will first be dropped off in the main square to find your own restaurant for lunch, with plenty of recommendations provided. The town is popular with tourists for many reasons, including its well-preserved medieval buildings and brightly coloured houses which line the river Onyar running through the town. 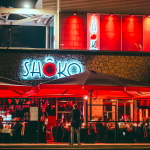 As such, various eateries, ice cream shops, boutiques and bars are available for you to take your pick from, before rejoining your guide for the tour. 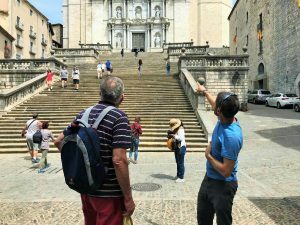 Once again, your guide will lead you around, imparting captivating insights about Girona’s history and culture. 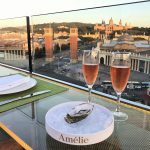 As you ramble through the winding narrow streets of the old Jewish quarter and ascend the grandiose steps to the cathedral, the allure of the town will captivate you just as much as the natural beauty of the Costa Brava coast. Indeed, it will come as no surprise to learn that the town was used for filming the series Game of Thrones, since it boasts extremely well preserved architecture from medieval times. 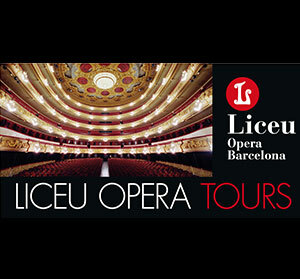 By the time you have seen the principal sights and heard the myths and legends of Girona, it is time to return to Barcelona. 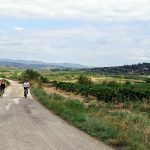 Without hiring a car, it would be virtually impossible to consider fitting in Costa Brava and Girona into one day’s trip, starting and finishing in Barcelona, plus having an experienced local driver makes the journey infinitely more enjoyable. Mont Escape’s expert guides greatly enrich the experience by showing you the most interesting aspects of both locations and teaching you about them throughout your visit. 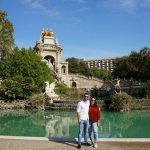 Overall, Mont Escape is an unmissable opportunity to see the sights outside of Barcelona and you will not find a more accommodating, friendly or intimate company. Disfruta!